Blog #1 Babies learn STEM? Comments Off on Blog #1 Babies learn STEM? 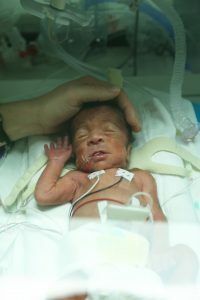 pediatric occupational therapist, I work in a neonatal intensive care unit (NICU) with babies who are only two or three pounds. From the moment babies open their eyes and look around for the sound of my voice, they are exploring their world. Sound is the first sense to form in utero. Around 16 to 18 weeks gestation, babies are starting to be able to hear in utero. The complex structure of tubes that make up the inner ear are formed at this point and although the fetus does not yet have actual ears, the bones and tubes of the inner ear are connected by brain cells called neurons to the parts of the brain that interpret sound waves. Babies are able to interpret sounds of lower frequencies. One of the very first sounds that the unborn baby hears is the repetitive thump of mom’s heartbeat. This is rhythm! Rhythm is early math! One study found that fetuses will move rhythmically to a drum beat. By 24 weeks gestation, babies can be seen in ultrasounds to turn their head toward sounds. This demonstrates their first reaction to stimuli. There is so much money invested into STEM in middle school, high school and college-age children, but I maintain that this learning starts at birth! 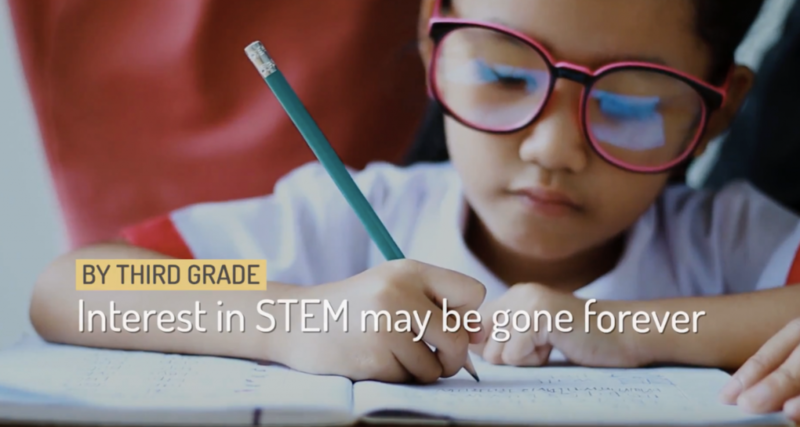 Infact, according to the National Science Foundation, if not fostered by third grade, a child’s interest in STEM can be gone forever. Anyone who has spent five minutes with a baby watching everything go into their mouth for exploration or chasing a toddler while they attempt to touch, smell, and climb everything in sight to learn about their world, will attest to the fact that children are naturally curious! All we need to do to foster early STEM is nurture this early sense of curiosity and turn it into new learning. 60% of five-year-olds start kindergarten unprepared. Studies show that the majority of these children never catch up. STEM learning starts at birth and by encouraging these early skills, we are helping babies to be successful in life. 90% of a child’s brain is developed before they even start kindergarten! Newborn to age five is a critical period for new learning. Talk to your baby all day long, starting at birth! Check out Aimee’s Babies Word Gap App for over over 200 video clips demonstration these positive interactions. Sing to your baby. 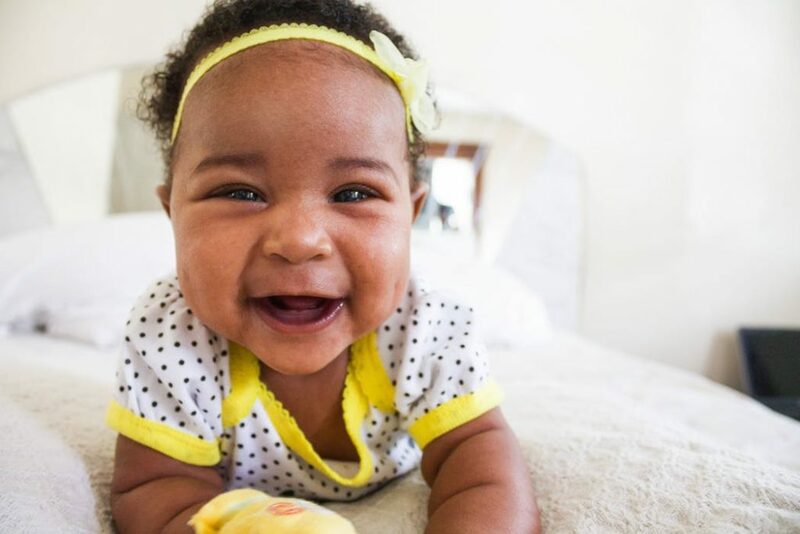 Babies love the sound of your voice and singing is calming. Play music for your baby. Processing music stimulates both sides of the brain at once. Massage your baby to create a healthy bond and attachment. Read to your baby every day. Early literacy is so important and it is the best predictor for future academics. When your baby shows an interest in something with eye gaze or reaches toward something, allow your baby to explore it. Provide your baby/toddler with lots of new experiences to explore and learn new things.